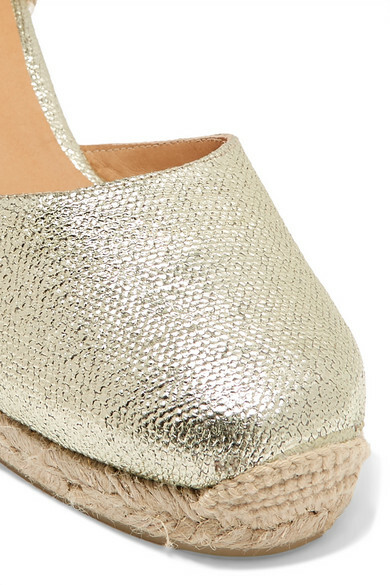 Castañer's 'Carina' espadrilles aren't just one of our favorites, they've been spotted on everyone from Gwyneth Paltrow to Alexa Chung and Rosie Huntington-Whiteley. 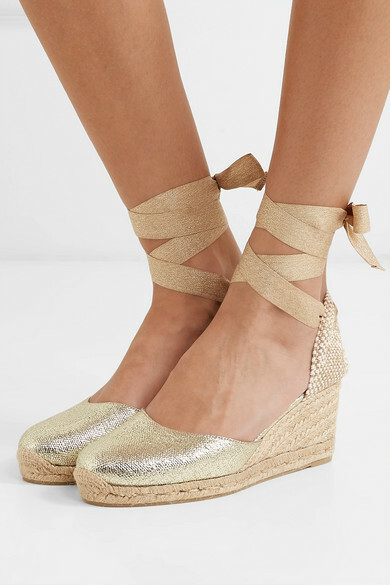 This pair is made from gold canvas and set on 60mm wedge heels that feel almost as comfortable as flats. Wear yours on vacation with a midi dress. Shown here with: Esteban Cortázar Dress, Loeffler Randall Tote, Alighieri Earrings, Alighieri Bracelet.